Let me start off by clearing that I am not a medical professional and would never give medical advice to anyone for this very reason. I am on the other hand a keen enthusiast for statistics and research. This post is a concise compilation of readily available statistics built from various sources world wide. The interpretation of the research below is completely at the discretion of the reader. Then on top of that you have the smell, the staining of fingers and teeth, bad breath and house fires caused by burning cigarettes. We’ll move on over to electronic cigarettes now. Many will argue that vaping hasn’t been around long enough to make an assessment on it’s long term effects, but e-cigarettes in their current have been around a lot longer than you might think. Invented in 2003 by Hon Lik, a pharmacist and inventor from Beijing, after his father died of lung cancer attributed to a lifetime of heavy smoking. His invention was revised and improved to such a point that in April 2006 electronic cigarettes started to be imported into Europe and the USA. On writing this piece, e-cigarettes have been in circulation in the Western world for 12 and a half years. Today a rough estimate of daily vapers in Ireland, the United Kingdom, USA and Canada stands at approximately 14 million. So 4,500 days of commercial sale, 14 million active users, how many deaths have been attributed to the use of e-cigarettes in these markets? Three. Yes three premature deaths have been loosely attributed to vaping or e-cigarette related activities in this time. Two of these were battery related issues. 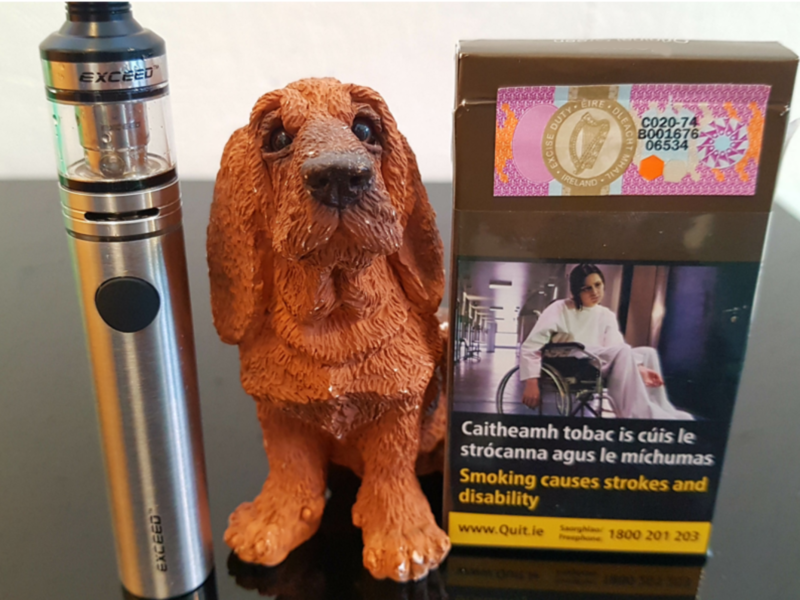 One case was of a man in the UK in August 2016 who had an electronic cigarette charging beside his oxygen equipment. The Lithium Ion battery (the same type of battery in the mobile phone you may be reading this off) in the e-cigarette caught fire as it was not the manufacturer issued charger, which in turn ignited the highly flammable oxygen beside it. The second was a widely circulated case of a man in Florida in May 2018. The e-cigarette he was using exploded and shrapnel projected through his skull, causing almost instantaneous death. This story was reported on almost every major english speaking media agency around the world. What was neglected to be mentioned on most of these outlets was that Tallmadge D’Elia was using a mechanical mod. These are e-cigarettes that do not have regulated voltage or the safety cut off features found in the vast majority of commercially sold vaping hardware found in your local vape shop. Mechanical Mods are effectively DIY kits, which comes with inherent risks and here at Vapura Blackrock, we both don’t sell them and never endorse their use. Just because you’ve watched YouTube videos of how a car is built does not immediately make you an expert in the field and is an activity best left to those best qualified to build it. E-cigarettes should be absolutely no different. The last fatality is relating to a person that didn’t vape themselves, but their parent did. In 2014 an 18 month infant in New York ingested nicotine concentrate which had no child proof cap on it . This is a result of negligent parenting, not as a result of vaping itself. It is an EU wide directive that all e-liquid and nicotine concentrates must contain child proof seals. So there you have it, the three deaths indirectly caused by vaping in over twelve years. To put things in perspective, it took the average reader 3.5 minutes to read this blog post. In that time 4 people have died in Ireland, the UK, the USA and Canada from smoking related diseases. One more person has died from smoking in that three and a half minutes than in the history of vaping. We’ll let you make up your own mind which causes more harm to the public.